The practice of unschooling is considered by many to be completely different from homeschooling, in that learning at home departs radically from the image of learning in the traditional classroom sense, with children concentrating learning through passive reception of knowledge and skills through the use of subject text books. Unschooling is taking the process of 'education' out of learning - allowing learning to occur in a natural way, led by interest, passion, need, want, desire, to satisfy some immediate demand or long term goal. The essential ingredient in all of this is that learning becomes personally meaningful to the learner. This doesn't take the 'teacher' or 'mentor' out of the picture - home learning, in whatever form it takes, is a family affair. Decisions made about learning activities are generally cooperatively decided after consultation and shared brainstorming sessions. Sometimes learning becomes an intensively personal affair; at other times the whole family will pursue an interest together with avid interest. One of the features of unschooling is the absence of rigid time tables. This isn't to say routine is abandoned. Even the most seemingly 'disorganised' home learning situations have a hidden and stable routine to each and every day - family sanity depends on this! Priorities are set according to family need and resources allocated accordingly. The greatest pleasure of an unschooling regime is being free to drop everything and really concentrate on a child's burst of wonder as he or she discovers some new concept, some new piece of learning. Or becoming intimately engaged in their play, watching the abundance of learning that naturally flows from such interactive social play - the perfect picture of learning scaffolding. Unschoolers tend to start from where they are at - right where they are, in the present moment. Each and every moment is full of learning opportunities and leads on to the next. The trick is not to get carried away by the excitement that presents itself, and to keep activities down to a level suitable for your children. Over stimulation is as damaging to a developing mind as overly passive activities. Take your time, take deep breaths! Recognise there is a lifetime of learning ahead for each and every one of us! I am always satisfied and amazed to see my children pursuing new knowledge. It's a very healthy and natural things for young children and my wish was always to preserve the intensity of their curiosity displayed during every waking hour. I didn't give much thought to school back in those early years, but as it loomed closer I began to examine the purpose and outcomes of school education. It seemed that schools, also keen to see children in pursuit of knowledge, but in a rigidly defined way. There was no way the children could have any input into the curriculum, and even the parents seemed shut out. This disturbed me greatly and Robin and I began to look at alternative schools, and then finally alternatives to school! In his acceptance speech for the New York City Teacher of the Year award, John Gatto said, "Schools were designed by Horace Mann. . .and others to be instruments of the scientific management of a mass population." As my personal experience as a home educator grew, and I reflected on my experiences as a school student and how it had limited the way I thought about education and life, I found myself at odds with the state definition of education and at one stage refused to use the word, preferring the term 'learning' instead. 'Education' has, to me, become a fairly meaningless term, bandied about with scant regard to accountability. " Most children don't like textbooks, workbooks, quizzes, rote memorization, subject schedules, and lengthy periods of physical inactivity. It's not hard to see why. Few adults enjoy such tasks, and exert considerable will power or entice themselves with bribes to study subjects that have no immediate meaningful relevance. Believe me, the work of a school teacher is vastly different from that of a homeschooling parent. In nearly all schools, a teacher is hired to deliver a ready-made, standardized, year-long curriculum to 25 or more age-segregated children who are confined in a building, often one room, all day. 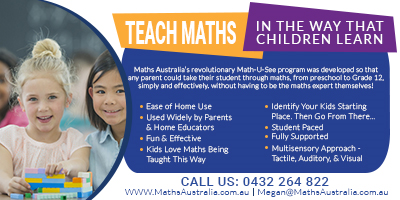 The teacher is restricted to using a standard curriculum - not because it is the best approach for encouraging an individual child to learn the things that need to be known - but because it is a convenient way to handle and track the progress of large numbers of children. For decades we've been reading about the results of the application of this standardised curriculum on our children and the bleak stories never change - a few bright lights in an otherwise downward spiral of reducing levels of literacy and numeracy. 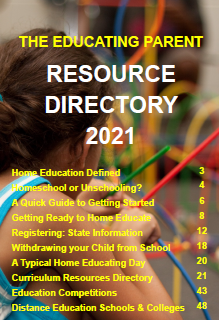 Although it's easy in retrospect to see the differences between the school environment and the home, many parents begin homeschooling under the impression that homeschooling is a kind of variation on the traditional public school curriculum, only delivered in the home. They tell themselves that it is the classroom, the social life and peer group pressure, the lack of resources, etc that reduce schooling to ineffectiveness in their children's cases... Goals, objectives, set tasks, assignments and evaluation take centre stage, as they do in school. 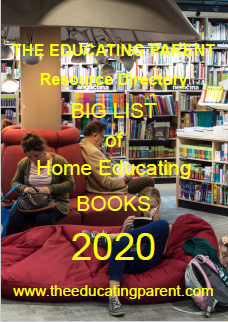 The winners in the homeschooling boom must surely be the textbook and curriculum publishing companies who go to great lengths to assure us that we must buy their products if we expect our children to be properly educated. It can be difficult for a new homeschooling family to think that an alternative approach is possible. One alternative approach is "unschooling", also known as "natural learning", "experienced-based learning", or "independent learning", or 'auto-didactic' learners. It's catching on fast, because it makes sense. What is impossible to achieve in the classroom becomes a successful approach in the home and community based learning environments. It's empowering, not only to the children who accept more responsibility for the direction and content of their education, but also the parents. Before I talk about what I think unschooling is, I feel I need to say a few words about what it isn't. Unschooling isn't a recipe, and therefore it can't be explained in recipe terms. It is impossible to give unschooling directions for people to follow so that it can be tried for a week or so to see if it works. Unschooling isn't a method; it's a way of looking at children and at life. It is based on trust that parents and children will find the paths that work best for them - without depending on educational institutions, publishing companies, or experts to tell them what to do. Even though I read this in John Holt's books before I began homeschooling, it took me years to assimilate this notion, and even longer to fully trust that my children will learn what they need to learn, when, where and how. It's more than following one's interests; filling the day with play and chores and work and conversation. It's staying busy and focussed on the important things in life - building relationships, between self and others, self and the world, self and ecology, self and community. It's learning how to be grown-up (something many adults need to revisit!) and responsible,. It's looking after oneself, one's environment, family, friends and community, the world and all it's creatures. It's learning how to use resources sensibly and sustainably. It's simply living. We've found that when we follow our interests - and our interests inevitably lead to science, literature, history, mathematics, music, all the things that have interested people before anybody thought of them as "subjects" - we acquire many skills and retain knowledge long after the activity or passion has waned. I compare this to my years of learning subjects at school, and how little I remember from those passive lessons. A large component of unschooling is grounded in doing real things, not because we hope they will be good for us, but because they are intrinsically fascinating. This is the key to learning - any learning. There is an energy that comes from this that you can't buy with a curriculum. Children do real things all day long, and in a trusting and supportive home environment. Doing 'real' things invariably brings about healthy mental development and valuable knowledge, ultimately giving rise to insight and the acquisition of wisdom. In our home I've learned that it is natural for children to read, write, play with numbers, learn about society, find out about the past, think, wonder and do all those things that society so unsuccessfully attempts to force upon them in the context of schooling. Very few of us get out of bed in the morning in the mood for a 'learning experience'. I'd like to hope that most of us get up feeling in the mood for life. Children always do so - unless they are ill or life has been made overly stressful or confusing for them. I've had my doubts; times when it's difficult to determine if anything important is actually going on. Natural learning has often been described as a little like watching a garden grow. No matter how closely we examine the garden, it is difficult to verify that anything is happening at that particular moment. But as the season progresses, we can see that much has happened, quietly and naturally. Children pursue life, and in doing so, pursue knowledge. They need adults to trust in the inevitability of this very natural process, and to offer what assistance they can. Parents come to me with their unschooling questions about fulfilling state requirements and record-keeping. I found that writing down, in a logical way, ALL of the activities my children pursue - those that they initiate themselves and those that I ask them to do, from every area of life, gives me great confidence. It's easy to translate everyday activities into educational jargon with a little thought - toothbrushing becomes Health and Hygiene, and so on. When I fill out the paperwork required for homeschooling in our state, I briefly describe, in the space provided, what we are currently doing, and the general intent of what we plan to do for the coming year. I don't include long lists of books or describe any of the step-by-step skills associated with a curriculum. For example, under English/Language Arts, I mentioned that our son's favourite "subject" is building websites. I say a few words about the sites he's designed, the software he uses, and how he's learning HTML, and that he is in contact with other website designers through the Internet. I mentioned that he reads a great deal and uses our computer for whatever writing he happens to do. I added that as he added sites to his portfolio I noticed his presentation, layout, functional design, spelling and language convention skills improved considerably. Homeschooling is a unique opportunity for each family to do whatever makes sense for the growth and development of their children. If we have a reason for using a curriculum and traditional school materials, we are free to use them. They are not a universally necessary or required component of our homeschooling programs, either educational or legally. I've found that allowing curricula, textbooks, and tests to be the defining, driving force behind the education of a child is a hindrance in the home as much as in the school - not only because it interferes with learning, but because it interferes with trust. "I am beginning to suspect all elaborate and special systems of education. They seem to me to be built upon the supposition that every child is a kind of idiot who must be taught to think. Whereas if the child is left to himself, he will think more and better, if less "showily". Let him come and go freely, let him touch real things and combine his impressions for himself... Teaching fills the mind with artificial associations that must be got rid of before the child can develop independent ideas out of actual experiences." Homeschooling provides a unique opportunity to step away from systems and methods, and to develop independent ideas out of actual experiences, where the child is truly in pursuit of knowledge, not the other way around. 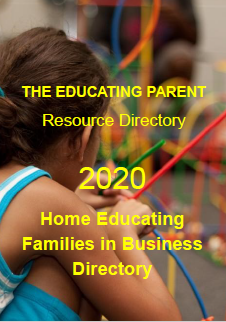 My friend Nancy recently introduced me to the the term "Family Directed Education" because it covers all the many ways education can be attained. It isn't always family based, it need not but can be a school temporarily or permanently, and it is directed by the family, as opposed to an authoritarian and coercive government institution. The means and methods can be changed, combined, modified, or designed for the current needs of the students -- and the term does not omit any of the myriad opportunities for learning. Whether it's through a prepared curriculum, trade books and field trips, services of a tutor, co-op classes, apprenticeship, volunteer activities, or a specialty school, it is still Family Directed Education. I find that when people feel brave enough to honesty declare their opinions and beliefs conflict always arises. I don't shy away from conflict as I've found that my greatest learning occurs when I'm in conflict. Balancing my emotional response/reaction with my intellectual response/reaction seems to help me construct positive thoughts. Wendy Priesnitz has been writing about life learning for over three decades - definitely subscribe to Life Learning Magazine as it is the best e-zine on natural learning and unschooling available! 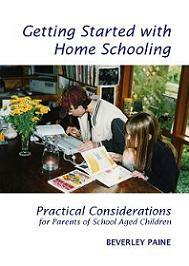 Listen to Pat Farenga talk about unschooling and homeschooling! Unschool Australia - Beverley Paine is gradually developing this site. Always Learning Books stocks Beverley Paine's unschooling and natural learning booklets. 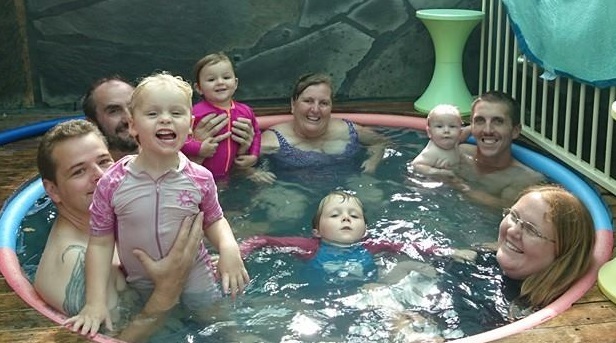 Learning Naturally is Beverley Paine's natural learning and unschooling yahoo support group. Australian Unschooling Conference is held every year. Taking Children Seriously is well known to many unschoolers - it is THE attachment parenting and non-coercive learning page on the internet! http://www.nbtsc.org/ - The Not Back to School Camp website, an idea originally created by Grace Llewellyn author of the education-expanding The Teenage Liberation Handbook. 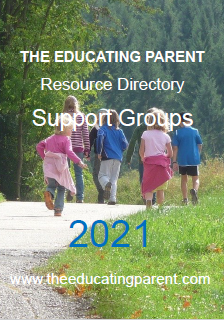 The Parenting Pit archives are great as they focus on unschooling from a father's point of view - highly recommended reading! 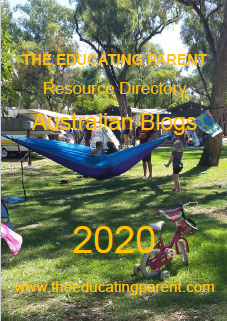 There are also dozens of unschooling and natural learning blogs listed on Homeschool Australia's Australian Blogs page. Redefine work, redefine learning, redefine education. Kick the school out of those definitions. That's un-schooling. A typical day is busy, constructive, interesting but it won't look anything like school learning, it will look like life. If spending hours on computers or playing video games etc bugs you, learn to see the learning inherent and embedded in those activities. If it still bugs you, offer something way more interested and tailored to your child's abilities and interests to lure him or her away from the device. Get busy, get constructive, imaginative, moving - maybe fill up a few weeks with excursions leaving the devices at home. Give it a try, see what happens. People have this notion that children learn over there, on their own, working through stuff that is given to them to do. That's school. People have this notion that unschooling children learn over there, working through stuff they want to do or are interested in. That's still school. Unschooling is simply learning, people learning because people are living and people live and learn together, off each other, from each other simply because we're social creatures and that's how we're built. Unschooling is learning together. It's fun, it's interesting but we really do have to redefine work, learning and education to get the hang of it.